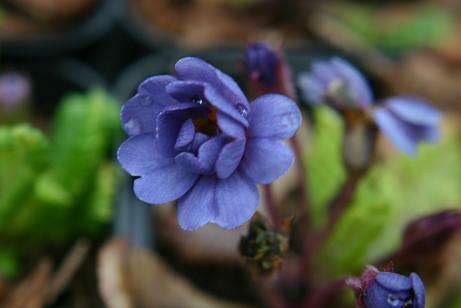 Primula vulgaris Double Blue . The new seasons double primrose seedlings have started to open. One or two attractive colours but with luck some more to come. They started off as the Barnhaven strain but over the years I have bred some of the named varieties into them. Now it is all a bit confused. 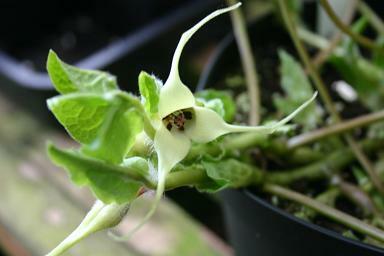 Asarum caudatum 'Album has burst into flower. The ridiculous long tails on the flowers look better on the white forms than they do on the typical brownish form. A vigorous and reliable species that makes dense clumps. Epimedium pinnatum colchicum L321 . 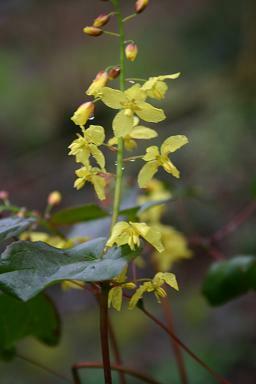 The first of the Epimedium have started to flower. Most of them have started to shoot, but this one is ahead of the rest. Introduced from the Black Sea coast by Roy Lancaster, this pretty, compact form has reddish buds. Epimedium are next weeks work for the website - I have been running scared from them, but now they have started to flower, I can't really put it off any longer! 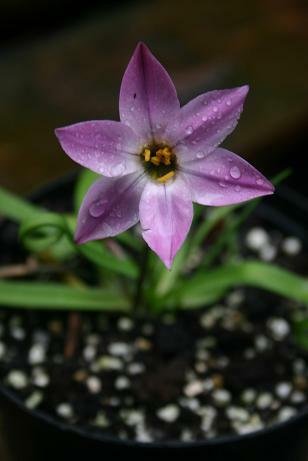 Ipheion uniflorum 'Charlotte Bishop' . This new pink flowered form has been lurking around in bud for about four weeks but the cold weather has kept it from opening. Higher temperatures and a moment or two of sunshine have made all the difference.